Some people called him Frank Sinatra’s bodyguard, some people called him Frank’s right-hand man, and some said he was Ol’ Blue Eyes’ best friend. They were all probably right about a man named Jilly Rizzo, who traveled the world with Frank and knew him better than almost anybody did. 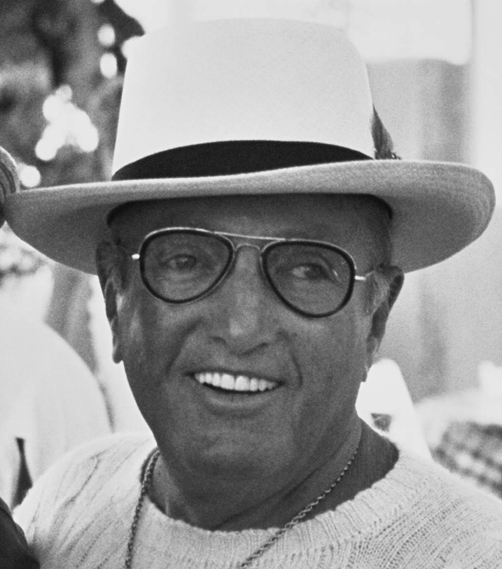 Born Ermenigildo Rizzo on May 6th, 1917, Jilly was only a year and a half younger than Frank Sinatra and was seen at Frank’s side constantly over the years. In fact, you’ll spot Jilly prominently at the beginning of Frank’s classic concert at Madison Square Garden called The Main Event, also produced as a TV special featuring a poetic introduction delivered by sportscasting legend Howard Cosell. Originally, Jilly was a restaurant owner and the proprietor of Jilly’s Saloon in New York, which Frank and pals frequented. Jilly’s establishment is memorialized in at least two Sinatra songs including the duet of Me And My Shadow with Sammy Davis Jr., in which Frank sings the special lyrics “We’ll wind up at Jilly’s right after Toots Shor”. And in the song Star, Frank sings “If they’ve got a drink with her name in Jilly’s bar, the chances are the lady’s a star”. Jilly appeared several times on the TV series Laugh-In produced by longtime Sinatra friend George Schlatter, and on the Dean Martin Celebrity Roast of Frank. And there were roles in several Sinatra films, including The Manchurian Candidate, Tony Rome and The Detective, plus Cannonball Run II. And Jilly even had roles in some unrelated projects like the films Eternity and The Pick-up Artist, and TV’s Kojak starring Telly Savalas. It all came to an end in 1992, when Jilly suffered an untimely death as his car was struck by a drunk driver in Rancho Mirage CA, killing Jilly on his 75th birthday. Frank was understandably devastated by this event, which took away his longtime companion and confidant six years before Frank himself passed away in 1998. 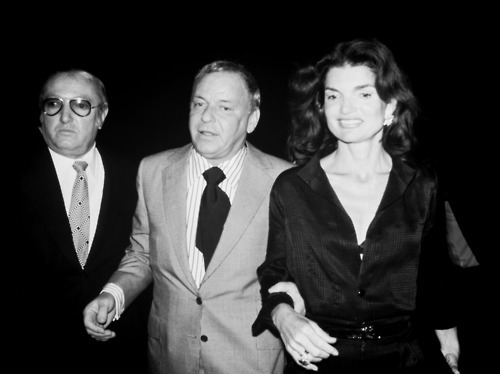 There may not be a Jilly Rizzo impersonator to go with the Frank Sinatra impersonators of today, but regardless, Jilly’s legacy lives on as a central member of Frank Sinatra’s inner circle.